Everyone deserves to feel safe in their home. If you feel as though your home could use a bit of extra protection, give Electrical Connection a call. One of the Hartford electricians on our team can give you the advice you need to determine whether security lighting or a security system is the right choice for your home. We have a truly exceptional array of security services for you to choose from, so it is important that you discuss your options with a professional member of our team today. Here are a few items to consider. If you are simply looking for a little extra security for those times when you are at home alone or even when the house is empty, contact us today. We have a great selection of security lighting systems that offer practical security options for homeowners everywhere. From motion sensors to flood lights and automatic timers, we can help ensure that no one is on your property without you knowing and that your empty home is safe when you are off on vacation. Should I Consider a Security System? Should you decide that security lighting alone is not sufficient for your home security needs, we can help with that as well. Security Connection, a division of Electrical Connection, can install a full security system, including keypads, motion detectors, fire and police emergency buttons, exterior door contact and more. CCTV and video surveillance systems are not just for commercial applications. When lighting and alarms are not enough, why not consider visually monitoring your home and property? Whatever you need to feel safe, we are the company that can handle the job. 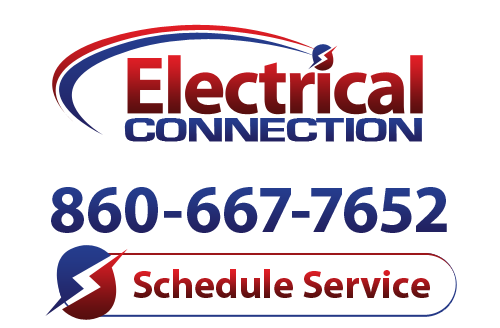 For more information about the ways in which Electrical Connection and Security Connection can keep your home safe, contact us today. We’ll answer any questions you may have.